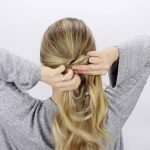 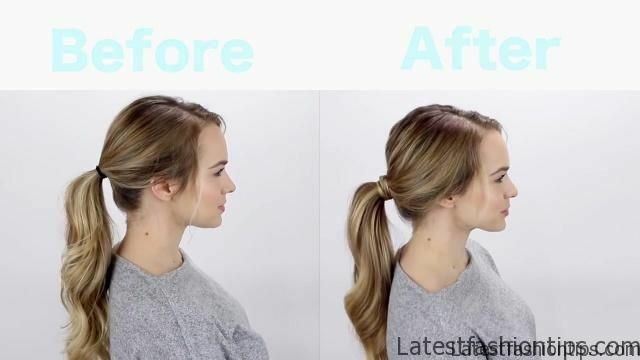 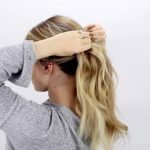 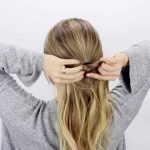 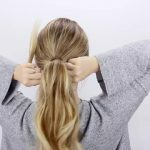 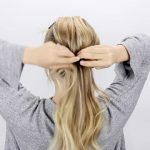 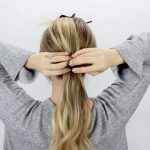 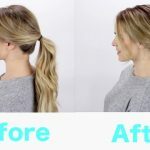 This ponytail hack to make your ponytail look thicker and perkier in just seconds or less this is really easy and I think you guys are gonna like it let’s get into it start by sweeping your hair up into a ponytail at whatever height you would like and go ahead and secure it with an elastic then we are going to use our magic weapon it is a lid you can use anything from a lipstick lid to a hair product lid split your hair in half and then just stick the lid in your ponytail this is going to make it look much wider and also make it a little bit perky as well then just let the hair down and you are done to help you out. 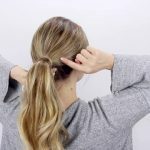 I thought it’d add a couple little tips here first of all make sure that the elastic is loose enough to accommodate the width of whatever you are sticking into your ponytail because if not you are not going to be able to wedge it into your ponytail instead just go ahead and loosen it up one little loop and then you will have plenty of room to stick the lipstick lid or hair product lid into your ponytail if it feels a little bit loose after that you can always tighten. 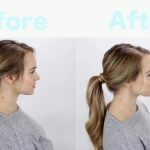 It back up really easily if you want to adjust the ponytail just make sure that you hold the lid against your head while you do so because if you do not then the elastic can get underneath the lid and cause it to fall out that’s really easy to avoid as long as you hold that lid against your head while you adjust the ponytail then it will be just fine finally if you want to wrap a small piece of hair around the base you can totally do that but I recommend that when you bobby pin it that you bobby pin off to the side instead of I will be pinning underneath the elastic so go off to the side like this. 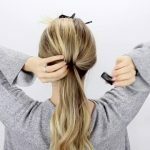 That way the bobby pin does not get in the way of the lid and it will still hold the end of your hair in place that’s it guys this is just a quick little way to make your ponytail look thicker and perkier without having to take a lot of extra time and I have never had one of these fall out on me I have worn it multiple days all day long and is a stayed in all day so try it out maybe try it out at home first just to make sure but I think you guys will like it and that’s it for today guys I will see you my next post mwah bye.